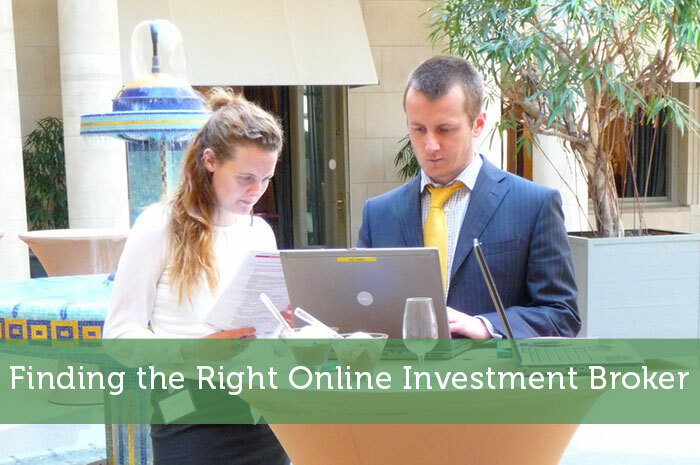 As you search for an online broker, there are many things you have to consider. But most importantly, you have to understand your current financial situation as well as your future financial goals. The online brokerage industry has become more competitive in recent years, and there are differences among them that might seem small but can be quite significant. That’s why you need to find out as much as you can about each company before you make a decision. The first and most obvious thing you have to look for is fees, and they can vary with each broker. The price differences can fluctuate between companies. Some charge a flat fee, and some charge a percentage. TD Ameritrade is one of the leading online investment brokers in the country, since they have a history that dates back to before there was such a thing. This is a significant point, because they have been in the game longer than many if their competitors. While their prices are pretty competitive, they are not the cheapest. TradeKing, on the other hand, has lower fees than TD Ameritrade, but that is not the only thing you have to consider before you make your final decision. It doesn’t mean that you can’t overlook trading fees, either. A flat-fee service may seem like a good option in terms of trading fees, you don’t want to overlook what Betterment has to offer. Unlike many of its competitors, they charge a percentage. And like the flat-fee model, it varies among different asset classes. Their rates fall anywhere from 0.15% to 0.35%, so you can see that the rate is not that significant. In addition to fees, you also have to look at the types of investment each company has to offer. Ideally, you should try to find a “one-stop shop” solution. In other words, you should try to find a company that offers a variety of different assets. Each of them has their own advantages and levels of risk. So, it’s important to weigh them carefully before you decide to invest. In order to make the right investment decisions, you need to have access to the right information. And in order to get the right information, you have to make sure you’re using the right tools. After all, you need to make an accurate analysis of the market as well as individual investments. While TD Ameritrade isn’t the lowest in term of fees, they have some of the best investment tools on the market. They have a wide variety of advanced charts and graphs, and their desktop application (called Thinkorswim) has a wealth of data that is streamed in real time. TradeKing’s tools are not as comprehensive, but they are easy to understand and are pleasing to the eye. Because of this, it might be a better platform for the new investor. It’s clear that there are many different factors that go into a good investment broker. Anything from fees to the types of tools they have available are important things that have to be taken into careful consideration. So, make sure you take time to analyze each company and compare them with what it is you’re looking for as an investor.